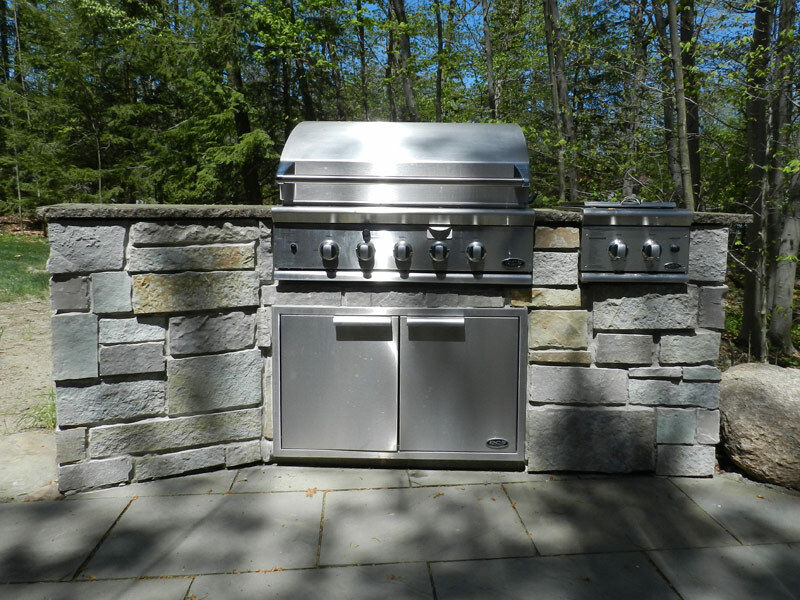 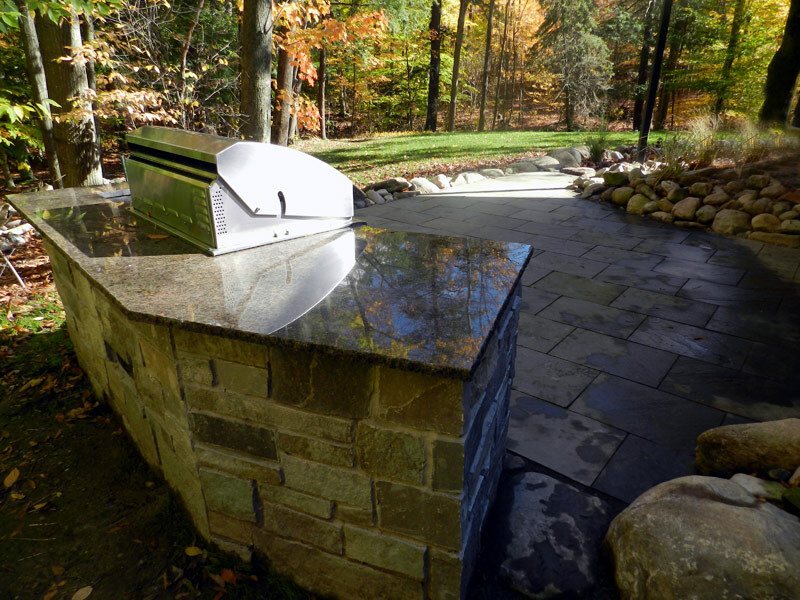 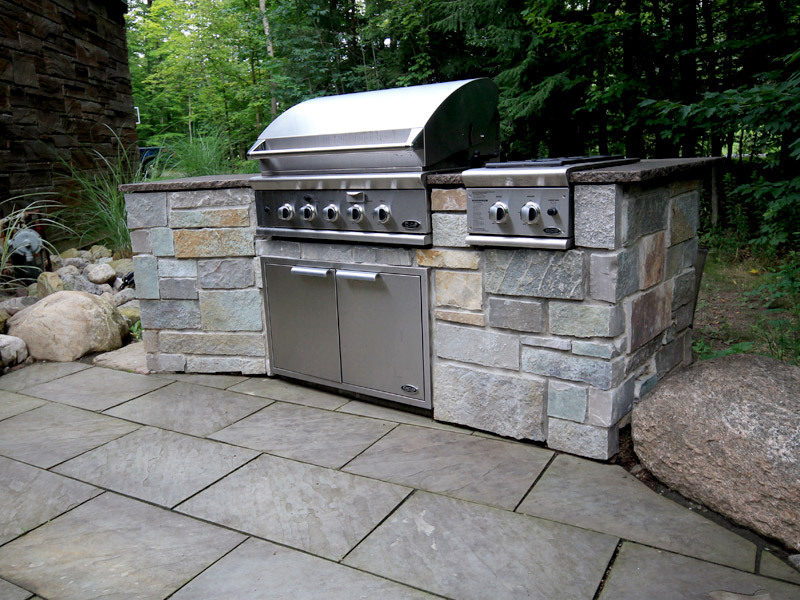 The stainless steel grill is accented by natural stone veneer and a granite counter top. 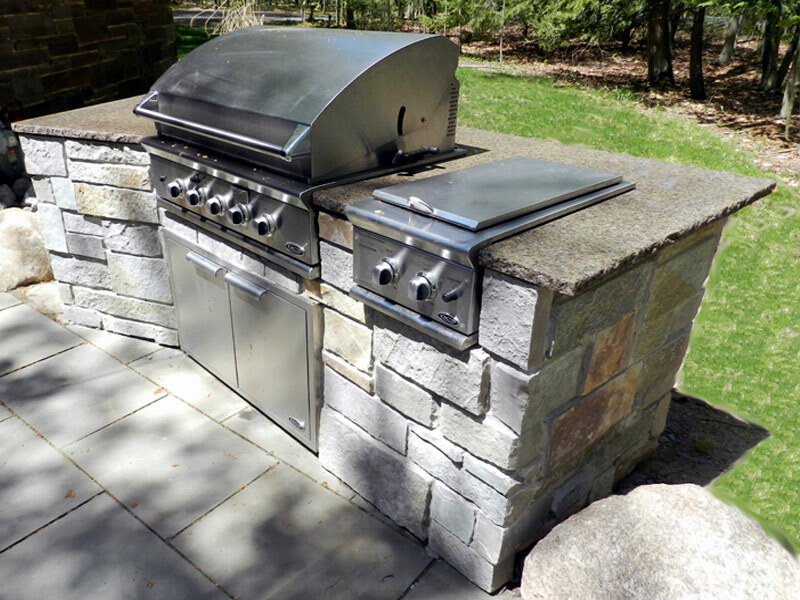 The mid-century home featuring a natural flagstone patio and grilling area. 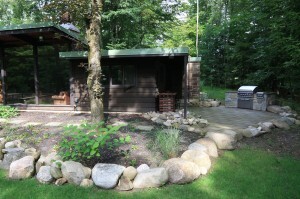 This mid-century modern home is nestled into surrounding woods, and called for a natural element to bring it together with its environment. 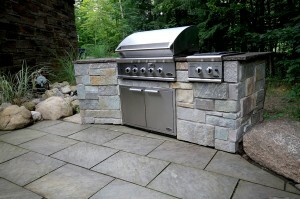 Just outside the kitchen backdoor, we designed and built this natural flagstone patio and grilling area. 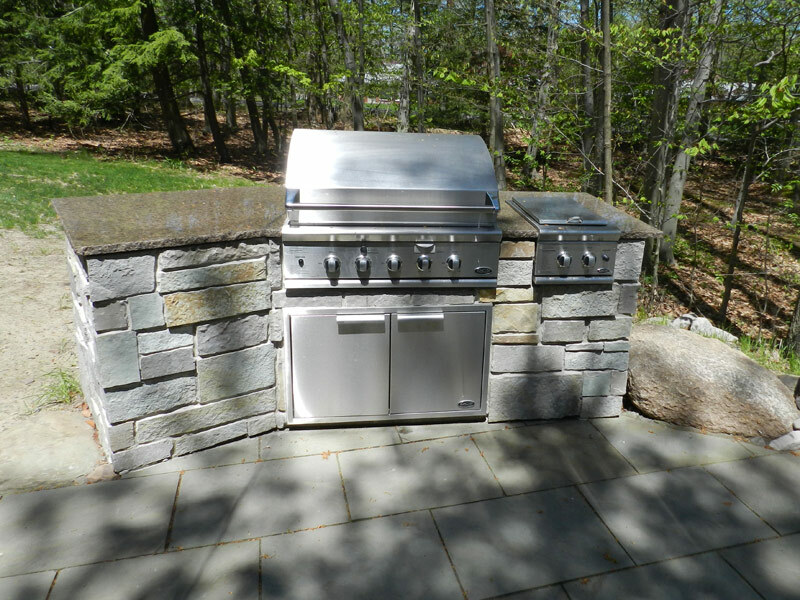 The stainless steel grill is accented by natural stone veneer and a granite counter top. 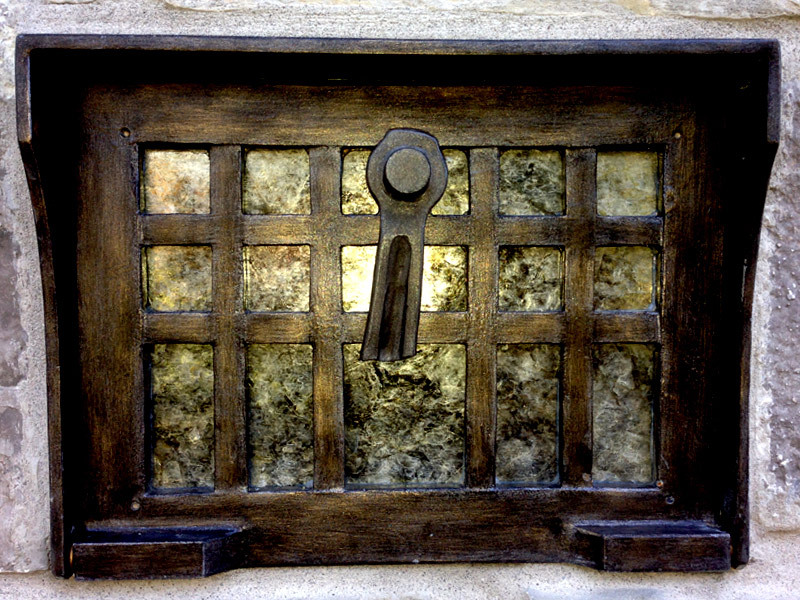 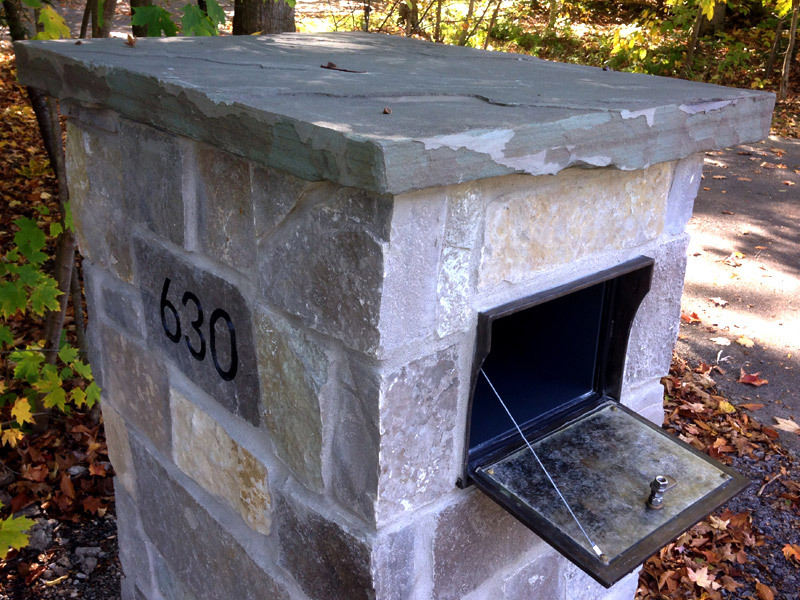 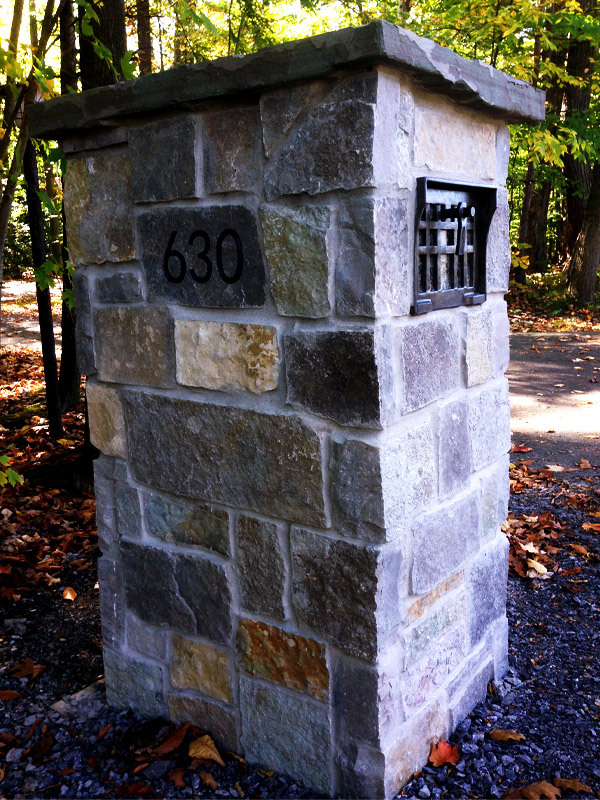 Approaching the house, guests will notice a custom brass mailbox insert sitting atop a natural stone veneer pillar.